With fall upon us and cooler weather imminent, it’s time to start thinking about storm windows. If you live in the northern part of the country storm windows are an important addition to any old house. Wood storm windows fit perfectly with double-hung windows and blend in seamlessly with the historic character of your old home. There are modern aluminum alternatives with operable elements like the triple track storms that are so common, but none of them look quite as charming as traditional wood storms. 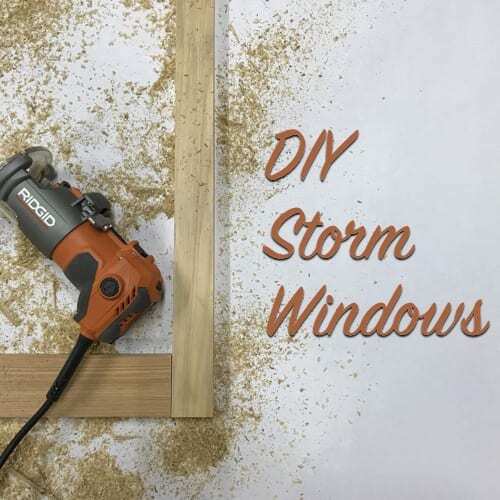 Traditional wood storm windows were made with mortise and tenon joinery, but you can also make a simplified DIY storm window with pocket-hole joinery and basic woodworking tools that I’ll teach you to make today. Watch the video tutorial below and follow these simple steps and you’ll be saving in no time! Storms were meant to fit on the outside of a double-hung window and rest up against the blind stop in the screen/storm rebate. They are usually between 3/4” and 1 1/8” thick depending on the thickness of your window’s exterior trim. 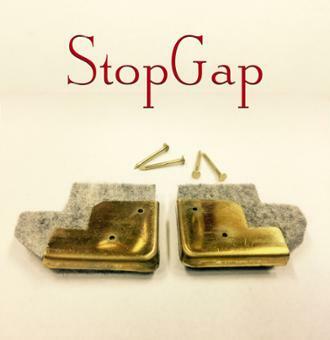 The 3/4” version is extremely simple to make since you can use standard 1x material to make your DIY storm window. For rebates thicker than 3/4″ you have three options I’ve listed below. You’ll have to choose one of them. All of them work equally well, it’s just up to you which one you prefer. Keep in mind that on an old house just because the height on the left side of the window is 60″ doesn’t mean the height on the right side will be the same. Take a few measurements across the window to make sure you account for out of square windows on all our measurements. After you have your measurements you’ll want to subtract 1/4″ from the outer dimensions to give the storm the necessary tolerances to fit. For example, if your window measures 32″ x 60″ you want to make your finished storm 31 3/4″ x 59 3/4″. To make things simple we’ll be using common 1x stock. Be sure to pick a rot-resistant wood that can stand up to your regional climate. You can use this post to help you pick a good species of wood. To be efficient, I’ve narrowed the wood needed for each storm to be a single 1×4 and 1×6. The lengths you’ll need will depend on the size of your window, but the widths are the same no matter what the size of the windows. Using our example window above of 32″ x 60″ here is your cut list below. I’ll explain the math in a moment. The 1×4 will be your stiles (the vertical pieces of the frame) and the 1×6 will be your rails (the horizontal pieces of the frame. Rip the 1×4 exactly in half which, when accounting for the blade kerf, should leave you with two pieces that are 1 11/16″ wide. Here’s how the math works so you can understand and make it work for your house. Your stiles are simply the total height of the window minus the 1/4″ space we need for fitting. That hurt my head, but that is the correct length of ALL 3 rails (top, meeting, and bottom). Got it? Good! Follow the setup instructions that come with the kit. Clamp and drill 2 pocket holes on each side of the top and bottom rails and one pocket hole on each side of the meeting rail. Clamp the frame together and install your screws, glue in the dowels with a waterproof wood glue like Titebond III and let it dry for a couple hours. Once the glue has dried cut the dowels flush with a flush cut saw and sand everything level and smooth with 80-grit paper. The next step is to cut the glass rabbets into your rails and stiles. These should be 1/4″ wide and 3/8″ deep rabbets. 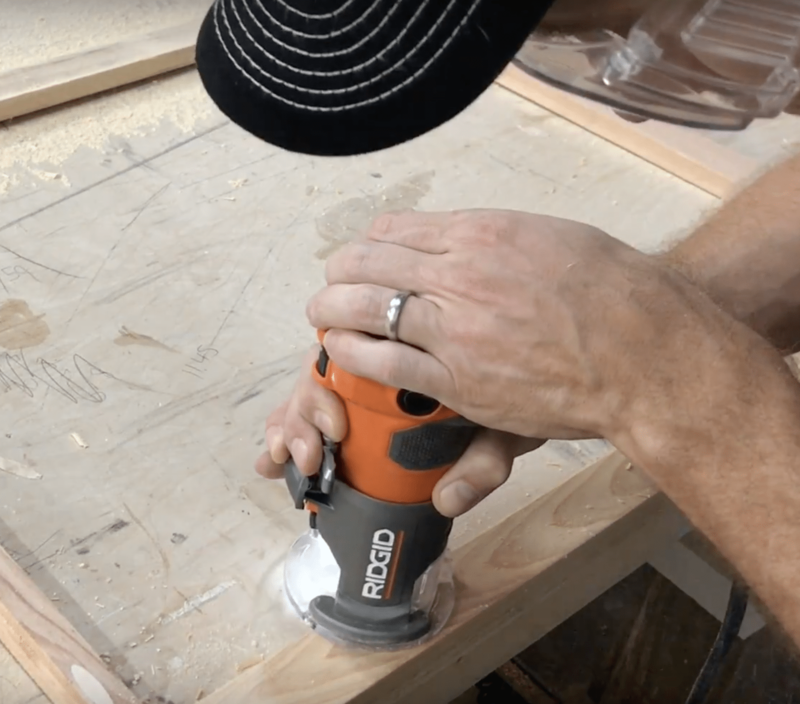 I used a Ridgid laminate router with a 1/4″ rabbeting bit. You can really make these rabbets larger if you prefer or are planning on a thicker pane of glass, but I’ve found that this size is more than sufficient for 1/8″ glass and doesn’t hog out as much wood as a larger rabbet. Make sure the bit has a bearing on the end or you’ll have to setup a guide for your router. On the outside of the storm sash route the channel out of the top and bottom glass openings. You’ll be left with rounded corners which will require a chisel to square off. Cut and test fit your choice of glass. There are a ton of options for glass and you can learn more about the different options in this post. My recommendations would be to use double strength glass (1/8″) or for southern climates double strength glass with Low-E coating. Your glass needs to be about 1/16″ smaller than the storm frame so that it has room for expansion later. You don’t want the storm to swell and break the glass. Use this video tutorial on How To: Cut Glass if you’re not sure how. Then put a coat of oil-based primer on all sides of the storm. Once dry sand it lightly with a sanding sponge and dust off the surface. 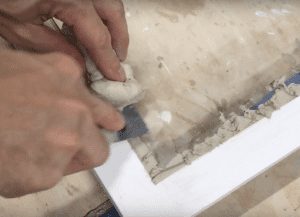 Put a thin bed of Sarco MultiGlaze putty in the glazing rabbet and press the glass into the putty so that you’re left with just a thin line of putty on the interior. Set the glass in place with glazing points. I prefer using the smaller No. 1 diamond points and a Glazing Point Driver because they hide the best, but you can also drive the larger No. 2 diamond points by hand with a hand point setter. Add a beveled line of glazing putty on the face of the glass to finish it off. You can watch this video for the details of glazing a window if you need help. After a couple days the putty will be ready for painting your choice of color. Using a couple Stanley storm hangers install the storm in its opening and secure it with a hook and eye or two on the sill. There you have it! An attractive, energy efficient storm to keep you warm and cozy this winter. Make a few a month and the energy savings will add up quick not to mention they protect the primary window from wear and tear. The benefits of storms go on and on and now you can make your very own DIY storm window to keep the winter at bay! I need to make four storm windows for my screen room. The opening for the storms are 36″ x 84″ with a rebate of 3/4″. Would you suggest using wider styles and rails for this size of window? And if so, what size would you suggest? I think the size rails in this should work fine still. If you want to extra support than I would either use 1” wood rather than 3/4” or you could add about 1/2” to the rails and stiles for a little extra strength. Either way is fine. Thank you Scott. Great blog and video! Hi, Scott – I’m going to make an offer on a nice little folk Victorian cottage on Sunday. Thankfully the previous owner left the original windows in place along with original wood storm and screens. Here’s a question for you. The storm windows don’t hang on hooks and seem to be two separate panels, a top panel and a bottom panel. The top panel sits directly on top of the bottom panel and the whole deal seems to be held in place by some sort of strange type of spring that’s screwed inside of the jamb and has a sort of metal bracket on the end with a sort of keyhole shaped opening in it. I’ve never seen anything like it. I’m not sure yet if the main top window sash is stationary and only the bottom sash is functional. I only had that thought as it appears perhaps only the bottom storm panel will come out and be replaced with a screen. Have you ever seen or heard of this kind of two panel wood storm screen combination unit thing? I’ll give the house a final once over on Sunday before making the offer and I’ll look at the windows more closely and maybe test one to see if it opens easily. Thoughts on the storms? Never heard of that but sounds interesting! Not sure, but I have had too many problems with DAP 33 in the past that I stopped using it. I tend to think it was the DAP, but can’t confirm without some testing. This is such a great post, Scott! Thanks for the time and effort on writing a page and making at video on how to make storm windows. 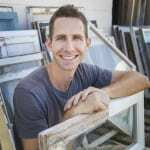 I have been using your site and purchased your recommended products to redo all my windows for the past 2 years (almost done!) What hardware do you recommend to use for the storm window. I would like something that would allow an “awning” style storm window. Thanks again!!! Thanks for the video and your Living in the Past book. I am looking to make these using laminated hurricane glass. Why use the pocket screws? Couldn’t you just drill the screws from the outside of the frame into the rails? It would not be visible when installed and could still be plugged and sealed. 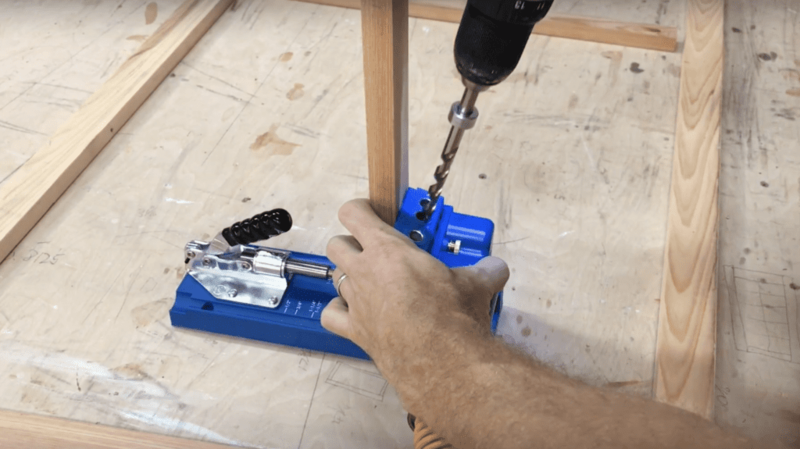 I found the Kreg pocket screw jig, etc. very handy to use. I bought it for this project and didn’t regret it. I have used it for other projects since then. Yes, I am sure you could do this without the jig and special screws, but sometimes making a job quicker and easier is worth the money. Scott, great video, I think I am going to tackle this endeavor. One thing I noticed, is that my bottom sash is angled. Do you cut your bottom sash to match the angle, the reason I ask is because the inside of the window will be a different dimension than the outside of the window with the bottom sash being angled. Thoughts? Thank you for answering my question! 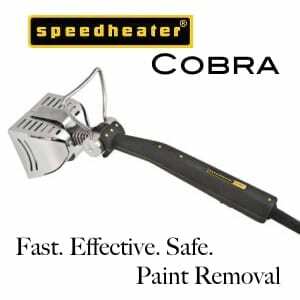 Are you just putting the Sarco into a refillable caulk gun then? 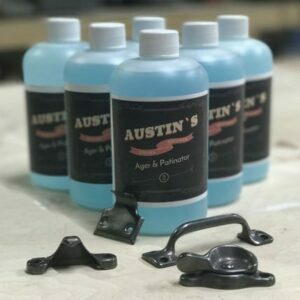 Do you thin it at all to get it to flow properly? Thin it slightly with raw linseed oil and pack it into a bulk/sausage gun. What product did you use for the bedding and glazing of the storm window? Some months ago he started a patreon site and an appropriate level of membership gets one access to 1/2 hour live online questions and answers every friday at noon (when not interrupted by hurricanes or other major events). Even if one cannot have access to it live, one can ask questions ahead of time and come back to look at what he answered others. It is great fun and far too few people are getting the advantage of it. I am going to email him now and ask him to cover this tomorrow. Thanks Mike! I really enjoy our chats on Fridays and hope more folks will join as well! yes, what do you do if the window opening is not square? There is nothing said about anything to seal it. Do you assume that just the weight of the storm will hold it in close enough contact with the blind stop to do most of what is needed? Or, if furring is needed, how about using some foam or rubber gasket or something? I need a film that keeps heat out in the summer, and keeps it in during the winter…. 1. Always make a perfectly square storm window. If the opening is not square then build your storm to the largest measurement you find in the opening, and once the frame is built dry fit it on the opening and scribe the portions that will need to be trimmed off. If it’s just a little you can use a belt sander or block plane. If you need to take a off a significant amount fro a window that is really out of square then use a circular saw to trim it. Once you’ve got a good fit proceed through priming, glazing, etc. 2. You’ll need 2 sets of hook and eye lathes attached to the back of the bottom rail and window sill. 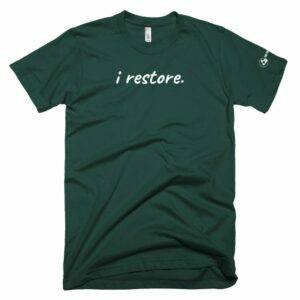 This will pull the storm tight and get you a good fit. If the fit is too air tight then you run the chance of condensation.Often I’ll have to add weep holes to let a little air in and keep things dry and happy. 3. A good low-E film applied to the glass on the inside of the storm preferably or the inside of the window’s glass will improve efficiency even more. Hope that helps! Excellent, and very informative video. 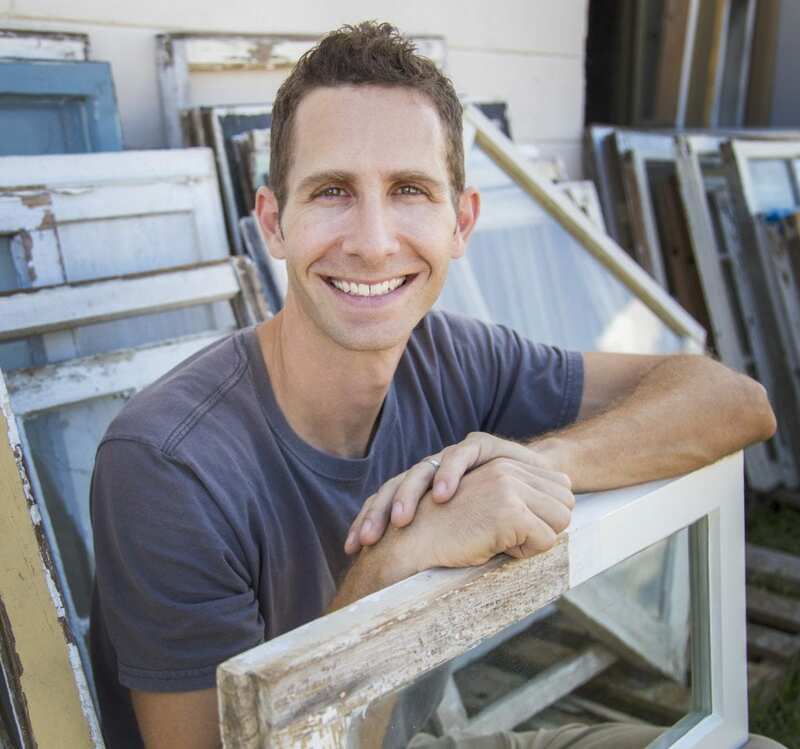 Can you do a follow up video on how to construct double hung and casement windows? We will be embarking on this very project very soon. Thanks so much! Angie, that’s the next build video on the list. Much more complicated but it’s in the queue! How do you handle it if your window frames are not square?